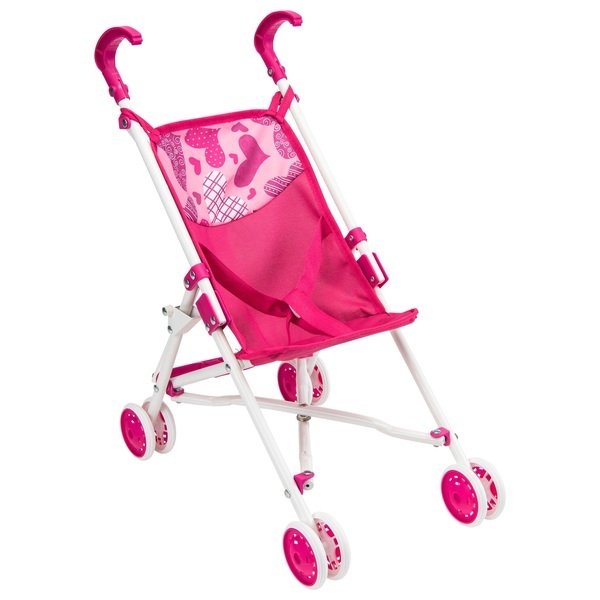 This 50cm doll's stroller is perfect for your doll and folds flat for easy storage. Doll not included. Suitable for most dolls up to 42cm. Colour styles may vary.